you put batteries in the little yellow box on the back of the bike & she's supposed to pedal away but it doesn't work - that's okay because I really just wanted that cute little bike anyhow! Aw, she's wonderful! I love the little bike so much. Have you, for any reason, ever been to a bar called Linda's in Seattle? I used to live by it and went there all the time. Totally fun little place, but the back patio wall was a huge semi-unfinished paint-by-number, and that picture reminds me of it. Super sweet. I want to do that now, actually! you are incredible!!!!!! i want to go thrifting with you!!!!!! 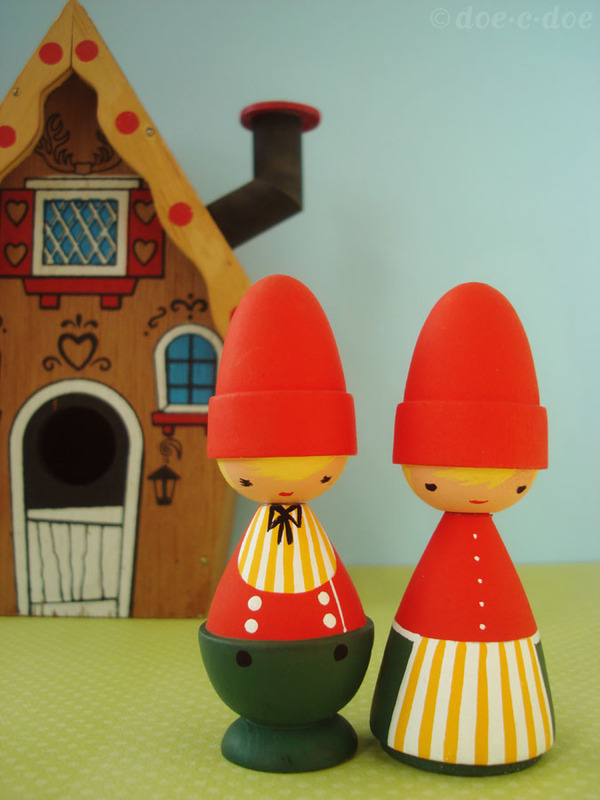 I am in love with that little wooden couple. so.cool. okay, cycling cheri is amazing -- and photographing her in front of the paint by numbers is too too cute!!! and of course i love the little wooden couple in front of the house -- their names must be hansel and gretel :) what great finds!!!!! i need to consider spending more time at estate sales rather than thrift stores - or at least divide the time equally. what fun!!! score!! sometimes i wish i lived in the midwest instead of California! have a good day. your finds are super adorable! i LOVE good thrifting days! 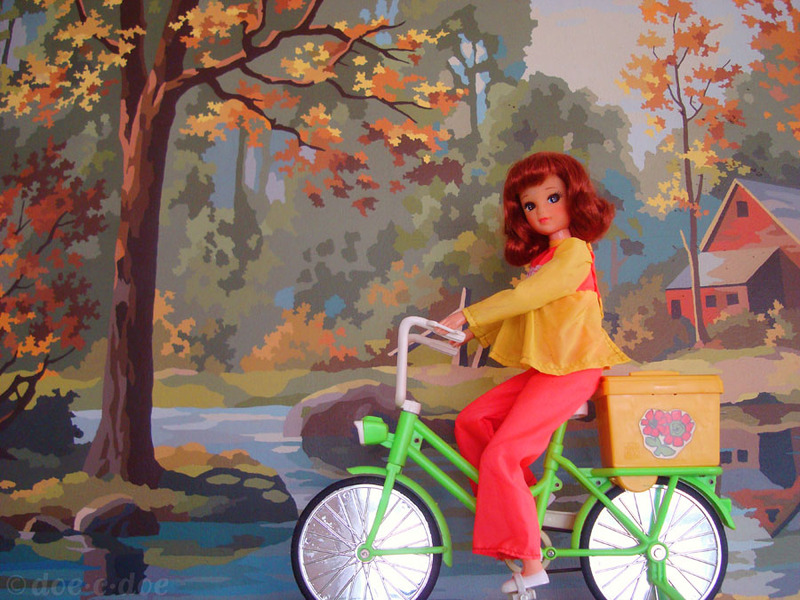 I am geeking out over the bicycling Cheri. I would love to find one of those! Nice haul! 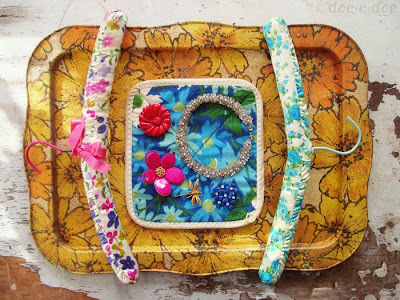 I love the pattern on the tray. Is it a lap table or just a tray? I bought a lap table like that a couple months ago. I use it as a makeshift bed desk. fawn & flower - I have not been to Linda's but I love the idea of a paint by number mural! !